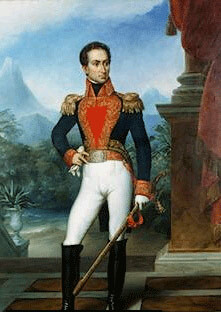 1789–1794, had an enormous influence on the Americas. 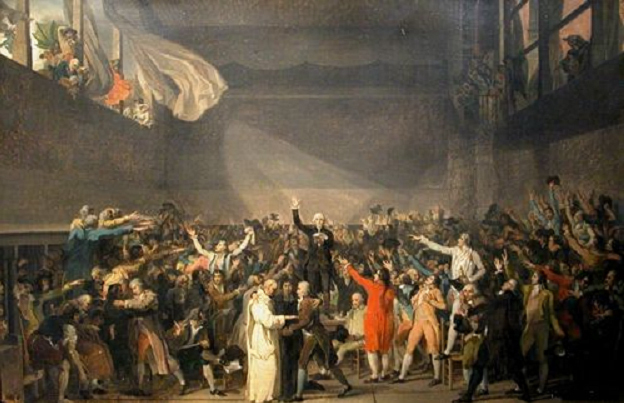 Jacques Louis David's, "The Tennis Court Oath," takes a significant event and portrays the delegates voting to create the National Assembly when the Estate's General, having been called by Luis XVI, locked the Third Estate out of the venue (meeting place) and thus radicalized the representatives of the bourgeoisie (middle classes)." 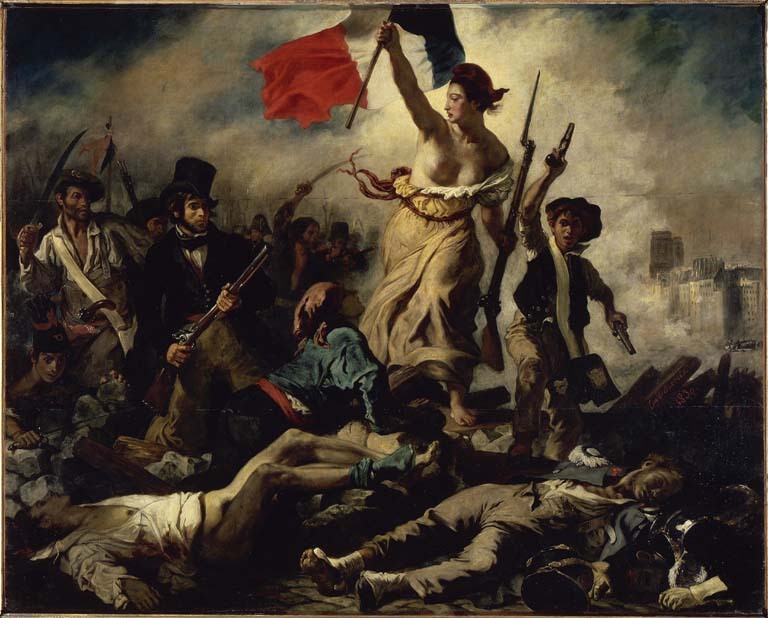 Delacroix immortalized the significance of the revolt of the masses in this monumental portrayal of "Liberty leading the people." Symbolically the spirit portrayed as a woman of freedom and reason lays waster the defenders of the old order to establish a new age of citizen based and responsible government. citizen: a new secular relationship to the state replaced medieval servitude. new age: so hopeful was the faith in progress and hope in technology that a "naturalistic" calendar was adopted in France with 1789 as the year one! representative assemblies: belief that civic power emerged from the consent of the governed, or more organically the "general will," as Rousseau argued. The Seating in the French National Assembly among factions that supported and opposed the monarchy in 1790 lead to our contemporary names: left versus right. rediscovery of Aztec and Toltec "virtues"
New Spain was the source of most of the revenues collected from an emergency revenue measure during the Napoleonic Wars (Spain was against France). The Consolodación de Vales Reales called in all outstanding Church debts, or loans destroying Creole support for the charitable functions of the local parish churches, schools and hospitals. Churches had funded their charitable relief measures through the interest the parishes collected from the haciendas, miners, and merchants to whom they had made loans. The Consolodación called in all church debts causing hardships and bankruptcy among the Creole elites. Créole- kréol - kréyol - kreyòl 1 L'origine du mot créole Le terme de créole possède deux étymologies, l'une Portugaise (crioulo), l'autre Spanish (criollo), qui viennent du même mot latin criare, signifiant «nourrir, élever» ou plus précisément «serviteur nourri dans la maison». Un « Créole» désigne d’abord quelqu’un qui a été «élevé sur place», c’est-à-dire «qui est du pays». Creole, an American born European in the colonies; hence any European (Anglo, French, Dutch, Dane, Portuguese, or Spaniard) native to or born in a colony of the Patria or fatherland.